Copyright is one of the key intellectual property rights. It protects a very wide range of different types of intellectual creation, including books, plays, music and software. 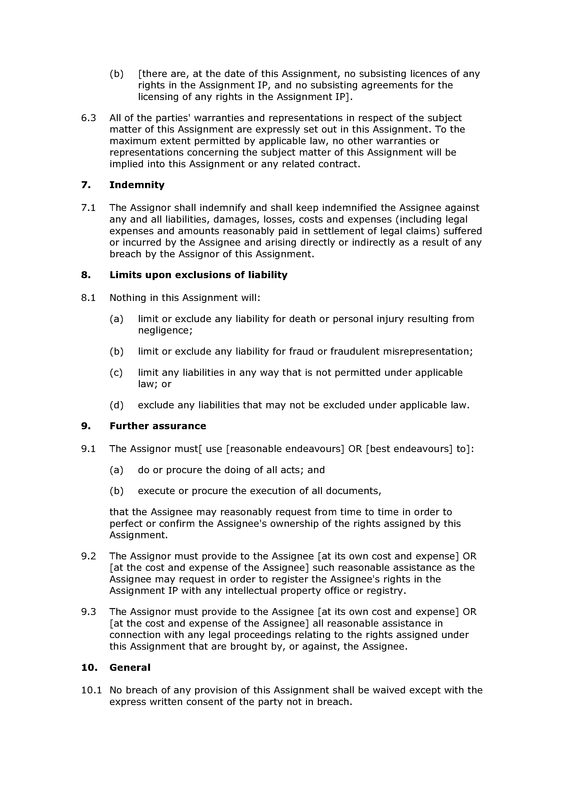 Businesses often (and individuals occasionally) need to transfer copyright, and the function of an assignment of copyright document is to give effect to such transfers. Under English law, legal transfers of copyright must be in writing and signed by or on behalf of the party making the transfer. 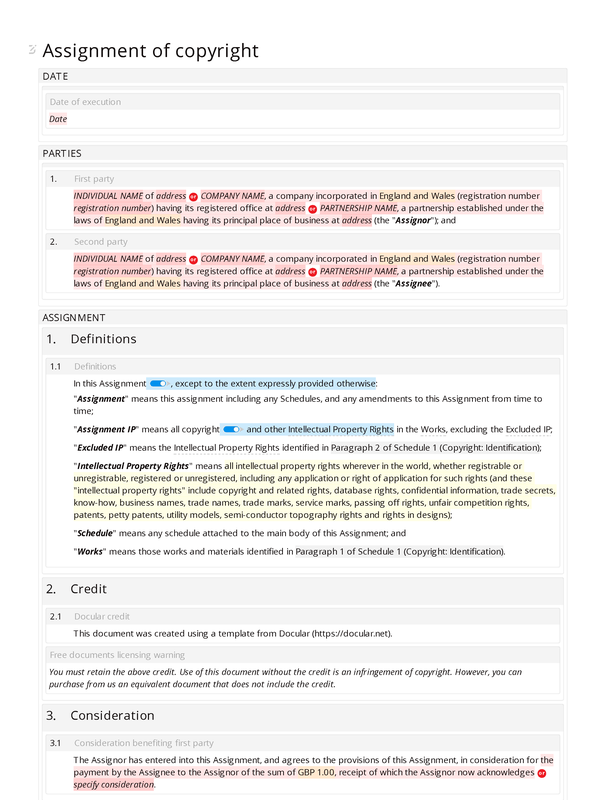 This free document is based upon our premium assignment of copyright template; it includes a textual credit in addition to the provisions of that template. Credit: docular credit; free documents licensing warning. Consideration: consideration benefiting first party. 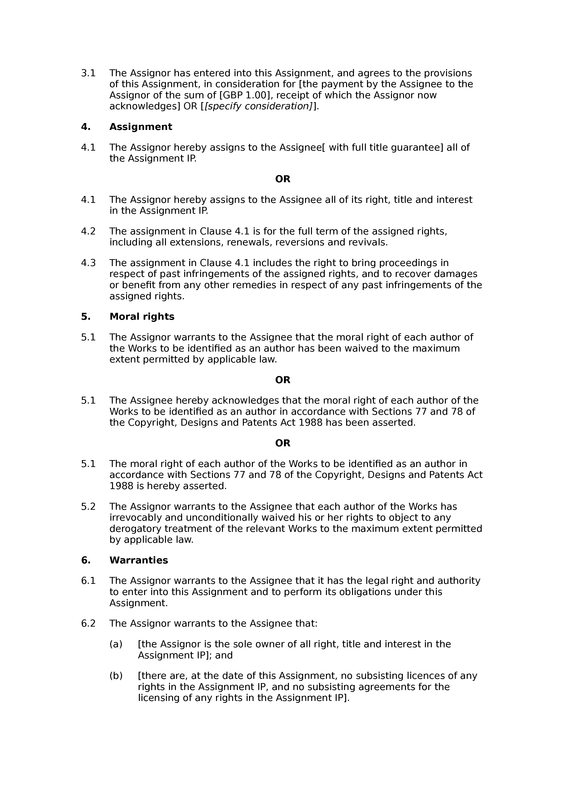 Assignment: assignment of intellectual property rights with full title guarantee option; assignment of owned intellectual property rights in works; assignment for full term of rights; assignment includes right to claim for past infringements. 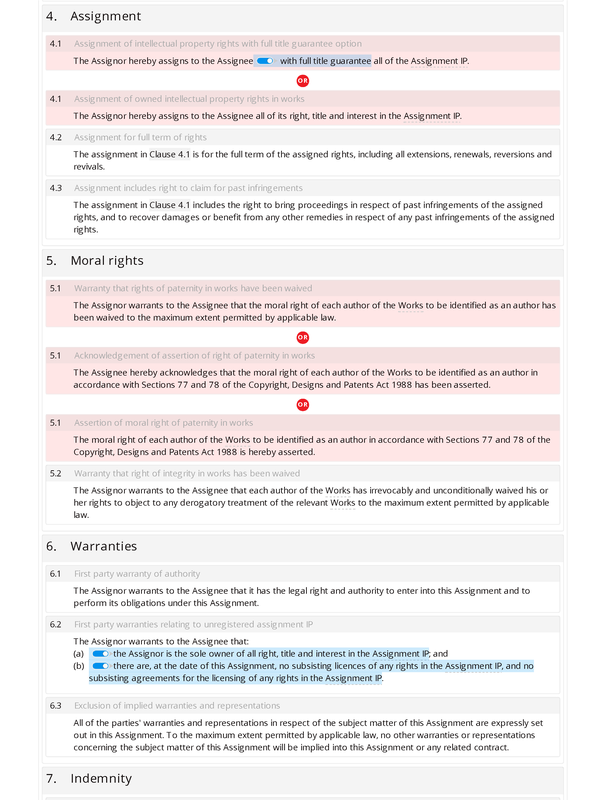 Moral rights: warranty that rights of paternity in works have been waived; acknowledgement of assertion of right of paternity in works; assertion of moral right of paternity in works; warranty that right of integrity in works has been waived. Warranties: first party warranty of authority; first party warranties relating to unregistered assignment IP; exclusion of implied warranties and representations. Indemnity: first party indemnifies second party upon breach. Limits upon exclusions of liability: caveats to limits of liability. Further assurance: further assurance (intellectual property); assistance with registration of intellectual property rights; assistance with proceedings relating to assigned intellectual property. General: no waiver; severability; variation written and signed; no assignment without written consent; no third party rights; entire agreement; governing law; exclusive jurisdiction. Interpretation: statutory references; section headings not affecting interpretation; calendar month meaning; no ejusdem generis. 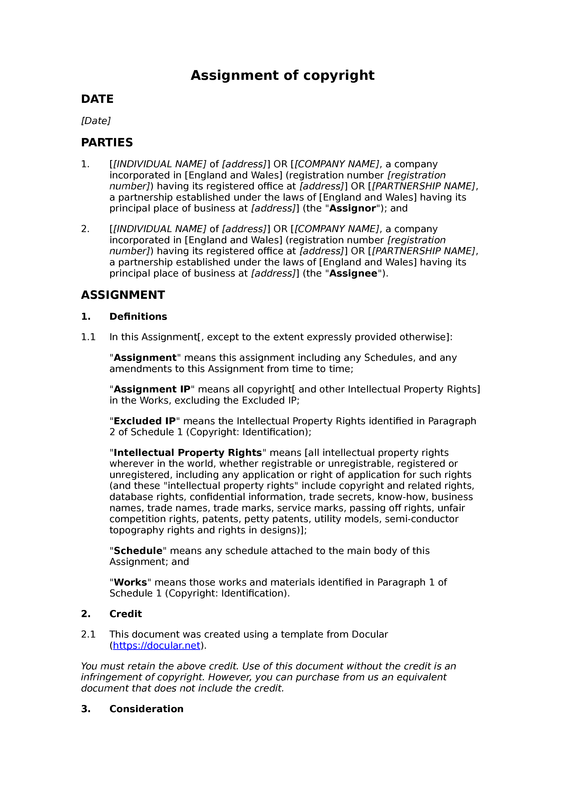 Assignment IP: works: identification of unregistered intellectual property to be assigned. Excluded IP: identification of intellectual property rights to be excluded from assignment.